Protect the joysticks on the remote controller when you pack the controller away during travel or storage in a bag or your pocket. 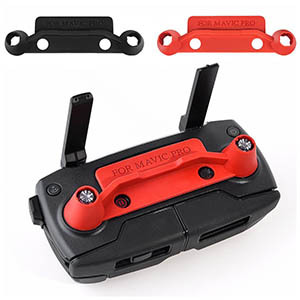 I think joystick protectors are necessary safety equipment for DJI Mavic Pro and DJI Spark, but the most common product out there is crap in my opinion. Read further down why and which protector I recommend instead. Must see: 11 Mesmerizing drone pictures of trees from above! 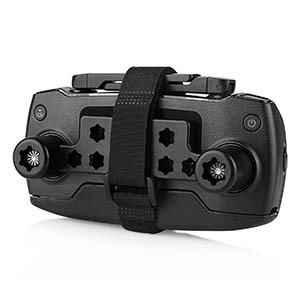 One of the things I’m concerned about when storing and carrying my quadrocopter drone around, is that the two controller remote thumb sticks are unprotected and often is tilted in strange angles when I store it in the bag. This especially applies to the DJI shoulder bag that is included in the Mavic Pro Fly More combo or if you have it in your pocket or tossed in a backpack. See picture below how the joysticks are bent when stored in the shoulder bag. 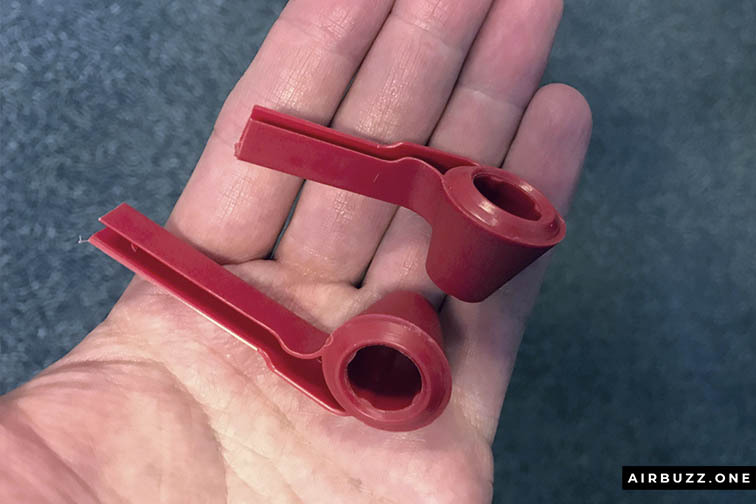 This is what you want to avoid – bending the thumbsticks when stored. I don’t like that the sticks are tilted at the maximum angle for a long time. 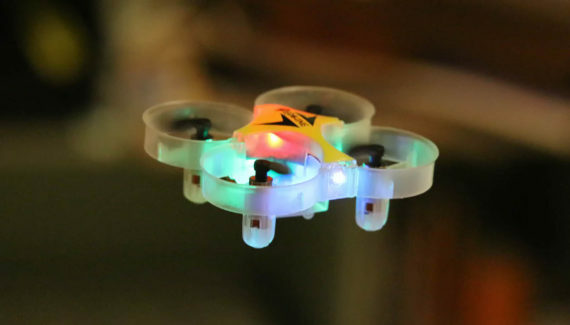 It might damage the stick or the internal mechanisms and decrease the accuracy when flying. A joystick protector locks the joysticks in place by placing a piece of plastic over the two controller remote sticks to prevent the sticks from waggling or scratching or scratched during transit. It is a cheap solution for increasing the lifespan of the more costly controller. Some of them protect the screen too like the PGYTECH Mavic Pro Control Stick Protector. Watch my unboxing video of this product further down. This is the gadget I use on a daily basis which actually works. The controllers on the Spark and Mavic Pro and Platinium are almost identical, so the different protectors work on all models. 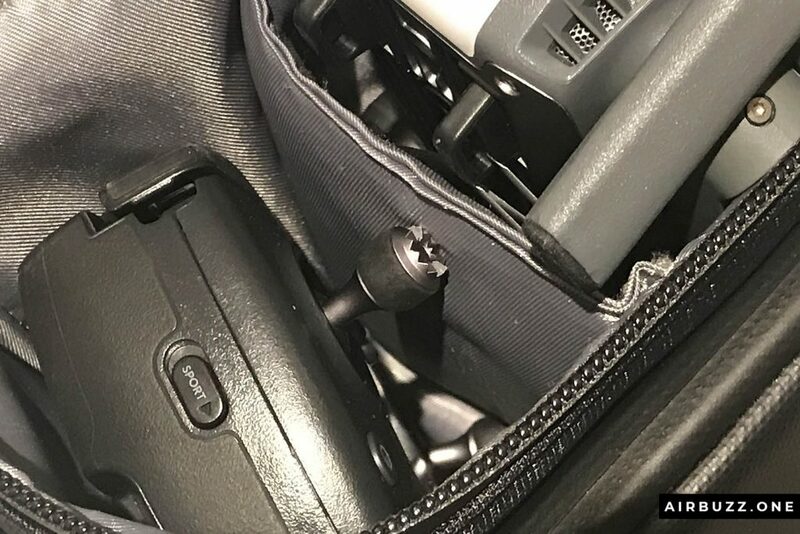 I remember reading somewhere in a maintenance manual that DJI recommend that the controllers are stored with no pressure on the joysticks – which is impossible with their own designed bag. Ok… here is a protector I can’t recommend anymore. Bad choice: Came broken in the mail. I have bought it a few times. The first one was broken when I received it, even before I opened the package. I got a new replacement, but after some use, it broke too. I have ordered another type that works better which you can read about further down. Bad choice: The replacement broke after a few days of use. It is a shame that these plastic protectors keep breaking. In itself the works just fine, but still my review is not very positive. It does the job and fits the nobs on the sticks just fine without damaging them. The thing is that this particular gadget is made way too thin, maybe to save material. If it was made a little bit thicker I think this could be the perfect product. It is very cheap and lightweight. There are not so many products like this, but instead, I recommend going for a slightly more expensive protection. I have listed my favorites below. All you have to do is chose. Agree, or not? Write a comment below. The PGYTECH joystick protector for the Mavic is the thumbstick guard I use daily at the moment and can easily recommend so far. It is lightweight and sturdy. made from high-strength ABS material and manufactured through a plastic injection mold process. This one will not break as easily as the product in place 5. It fits the controller perfectly and also covers the top of the thumbsticks as well as protecting the screen. 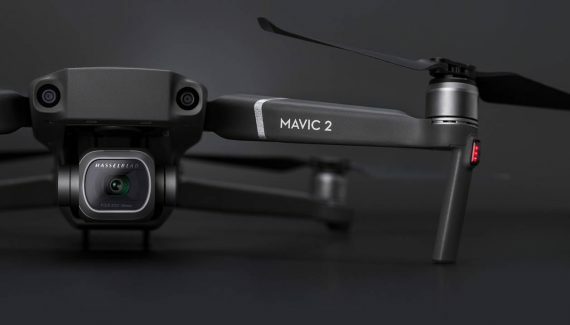 It is designed for the DJI Mavic Pro but works on the DJI Spark too, even if that controller doesn’t have a screen to protect. Check the prices and availability on Amazon (click the image for the quick link directly to the product). I think you can buy it on the DJI store too (direct link in the top menu bar). This stick protector from KUUQA (and many others like Huhuhera and FSLabs) is an upgrade from the crappy product I mentioned earlier in this article. 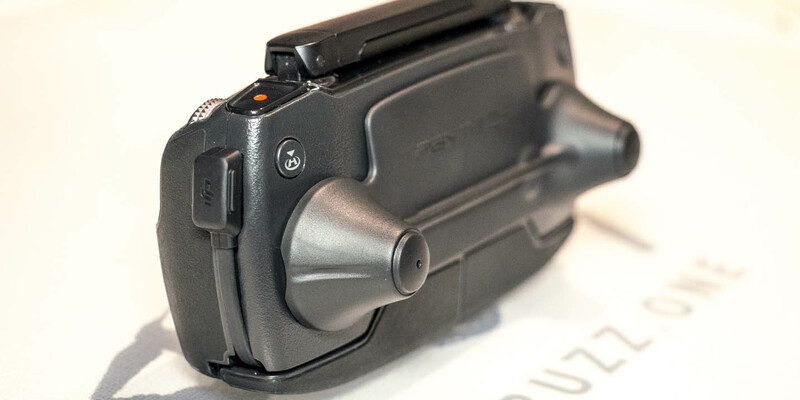 It is a decent protector for extending the lifetime of the Mavic Pro remote controller. It is made of ABS plastic and it fixes the sticks in place perfectly during transit. It has protection for the screen but does not cover the top of the sticks and the two buttons completely. In my opinion, this is not essential. You get two units in the package when buying it, one red and one black. Great to have one extra and certainly a cheap deal. Darkhorse thumbstick protector and antenna strap. The Darkhorse protector is an even cheaper alternative. It too protects the screen and sticks. A velcro strap keeps the antennas on the remote secure. This also fits the DJI Spark. It comes in several colors and can be bought without the strap. I haven’t tried this one so I can’t say if it works or not. Are you familiar with the product, please write a comment below. Click the picture for more reviews by Amazon users. 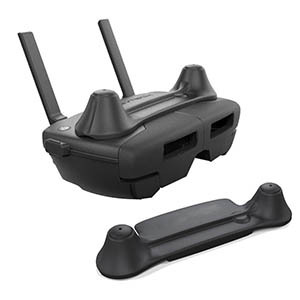 The BTG RC Stick Guard is compatible with DJI Spark and DJI Mavic Pro. It is lightweight (9g), durable and compact. In many ways, it looks similar to the PGYTECH gadget in place 1. Cheap protection for your remote controller screen from scratch. Made from ABS plastic. 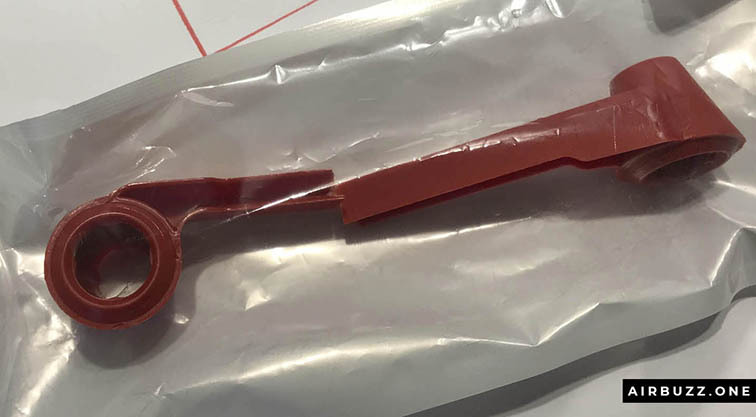 I have included this piece of plastic on the list as well. But if you have seen my pictures above I recommend that you skip this one. It’s not good, made way to thin and the plastic breaks easily. Thumbs down so to speak. When that’s said, I think that the design itself works ok and the piece fits the sticks perfectly. Go for the product in place 1 or 2 instead. Joystick protectors like these are not very expensive, but I still recommend not buying the cheapest products. The PGYTECH Mavic Pro Control Thumb Stick Protector is in my honest opinion the best of these. Extend the lifetime of the expensive remote controller by getting yourself a cheap piece of plastic protector. Drone Review: DJI Tello Review – Is it the perfect beginner drone? If you have a 3D printer you can easily make this protection yourself. On Thingiverse, there are a lot of options to download if you don´t model it yourself. Here is a good example. Avoid hard plastics like ABS and PLA when printing this protection like this. Instead, use softer flexible materials like TPU or Ninjaflex. It seems like DJI have acknowledged this challenge with the bending of sticks during transit. On the new Mavic Air, this is solved by having removable sticks on the controller. Of course, if you don’t want to screw the joystick pins every time you can go for the «old» Mavic and Spark solution by putting on one of the products listed above. What are your experiences with such gizmos? Is it necessary or just another useless gadget? At least I feel much better when my remote controller is secure and fine – and I’m sure you will feel the same way. Write a comment below and share my drone content! Thanks. Thanks for recomendations. I want to buy one of those you recomended.. but I wonder if those protector can scrach the screen? Hi, Juanes. Great question. On the PGYTECH the screen protector-part is not in direct contact with the screen itself but has a small ledge around the edge that is in contact with the remote controller. So it should be fine. I wish I would have found your website before I broke my joystick on my drone controller while driving to the airfield. I got there and didn’t realize that the joystick broke on the way there. I didn’t have an extra controller but I do now and I will be purchasing some drone joystick protectors too so this doesn’t happen to me again. 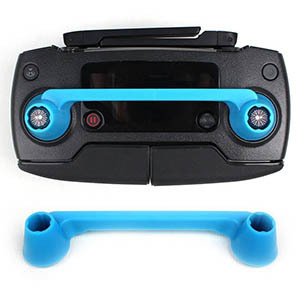 The Dji drone joystick protectors you have listed here seem to all be great choices and will definitely keep your sticks from being damaged. 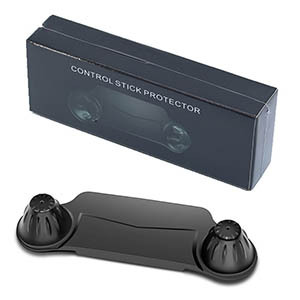 Now, these are designed just to cover just the joysticks but are there cases or protectors that protect the sticks and the entire remote control? I really love this article. I always like to fly drones. Since having kids at home, it’s hard to keep the controller safe as kids drop it often which is really a problem and has cost me a lot. It’s like a boon for my joysticks to come to know about all this today haha. Hi! I will write about a drone called Tello soon. 🙂 It is not expensive, but has better quality than the very cheap drones. Cheap drones have a tendency to be very difficult to fly, even if they are called “beginner drones”. Hey Andreas, I really enjoyed reading your post. Your website is great. 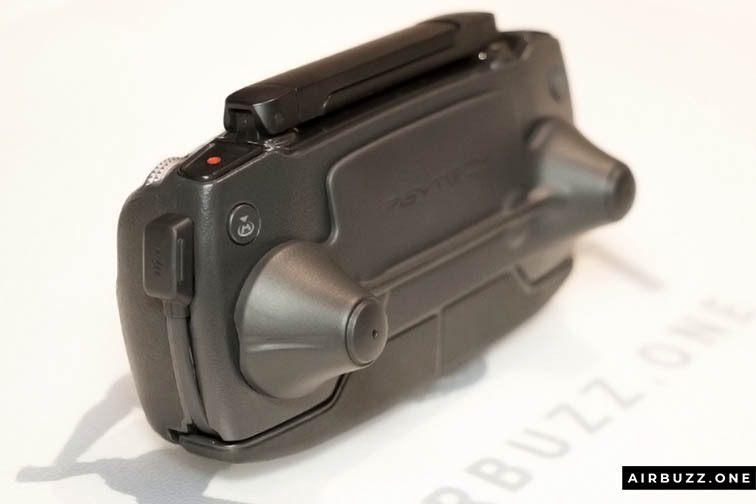 I had the problem that one joystick broke off of my Mavic pro remote which was a pain since these remotes are not really cheap 🙂 I didn’t know there was a protection for the remote. I will definitely buy one of those since those. It is really worth it.